Linda L. Kapanke, 68, of La Crosse passed away Tuesday, Oct. 9, 2018, at Gundersen Health System in La Crosse. A memorial service will be held at 11 a.m. Saturday, Oct. 20, at Trinity United Church of Christ, 4831 Tietze D., La Crosse, Wis., 54601. The Rev. Brandon S. Perrine will officiate. Burial will follow in Mormon Coulee Memorial Park Cemetery. A visitation will be held from 4 p.m. until 7 p.m. Friday, and from 10 a.m. until the time of service, Saturday, both at Trinity United Church of Christ. Jandt-Fredrickson Funeral Homes and Crematory, Woodruff Chapel, La Crosse, is in charge of arrangements. 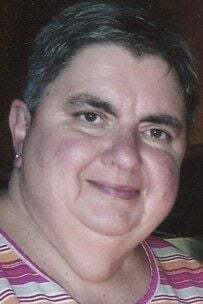 A complete obituary may be found and online condolences may be sent at www.jandtfredrickson.com.